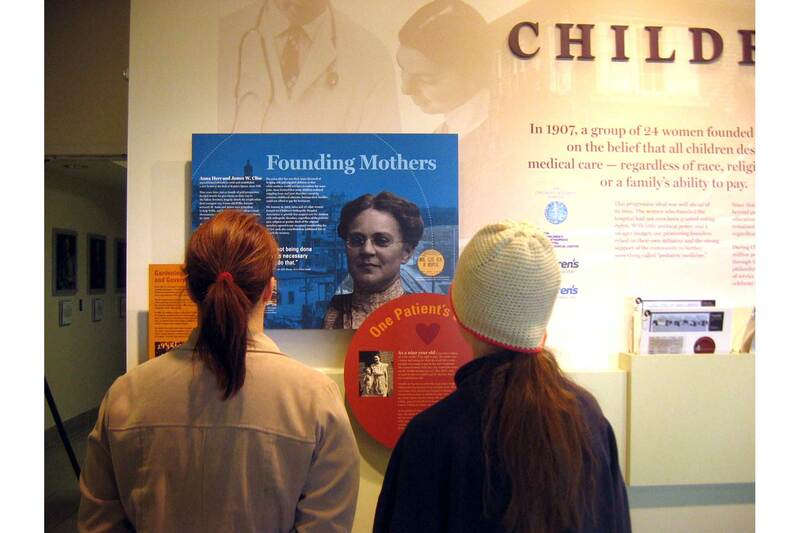 In 1907, twenty four women formed the Children’s Orthopedic Hospital Association to provide free surgical care for children with orthopedic disorders, regardless of the patients’ race, religion or gender. 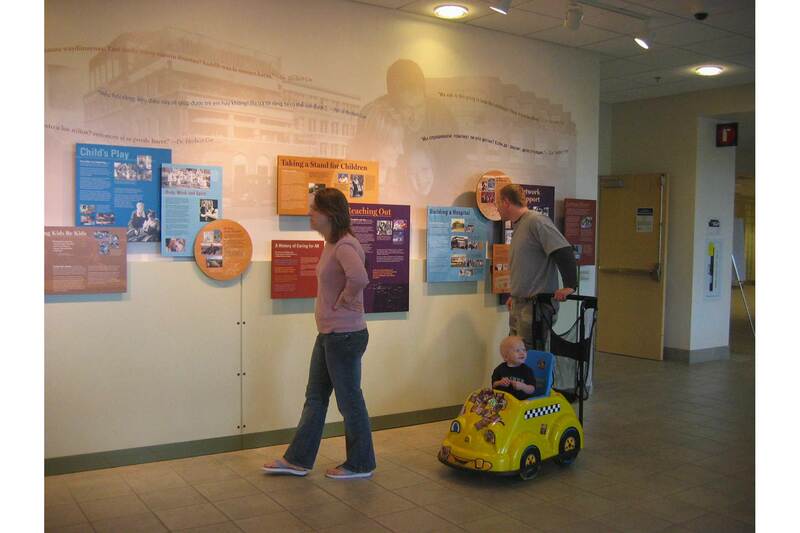 One hundred years later, Children’s Hospital in Seattle celebrated its Centennial Anniversary and hired (the mostly female) LCS to convey the hospital’s history in an entryway. 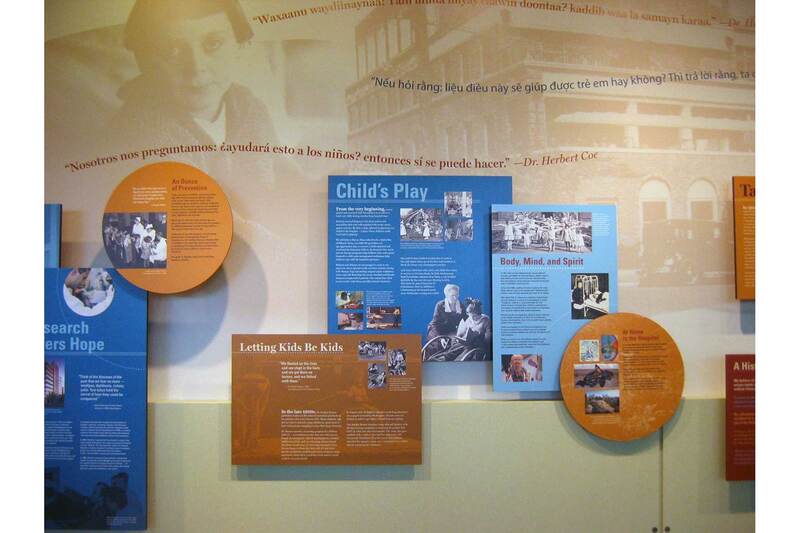 LCS worked with the client to develop a graphically composed organization of stories, including multilingual translations. 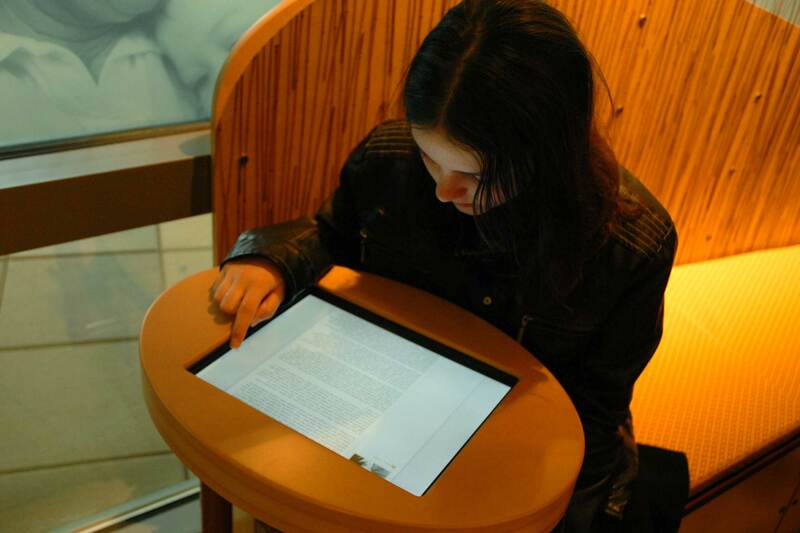 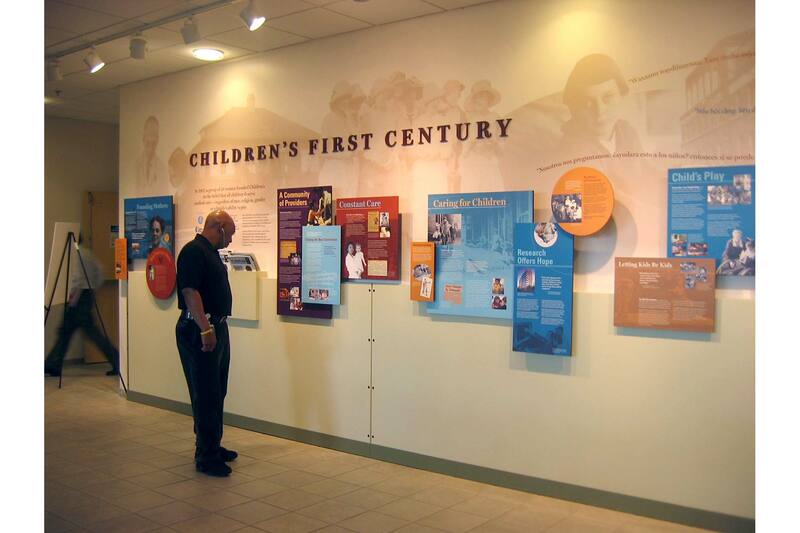 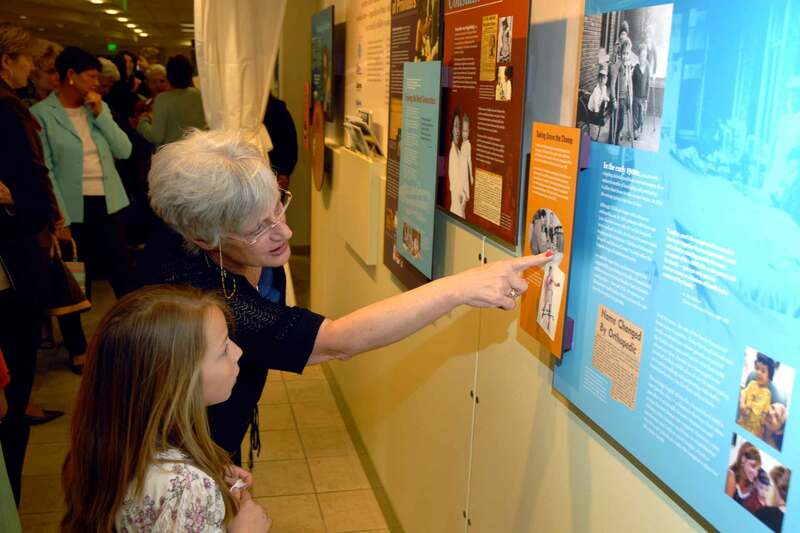 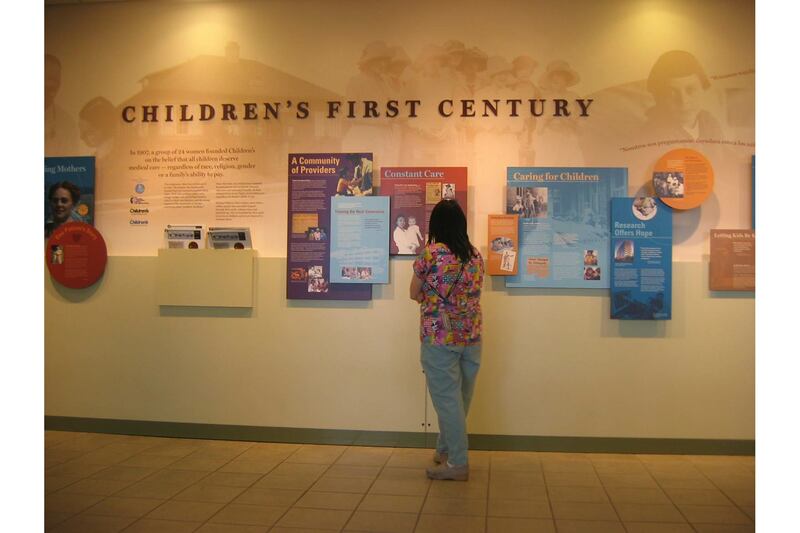 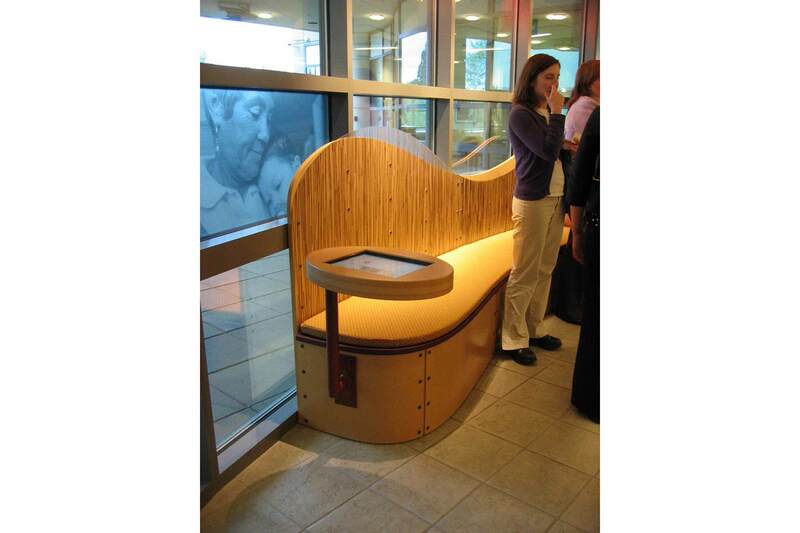 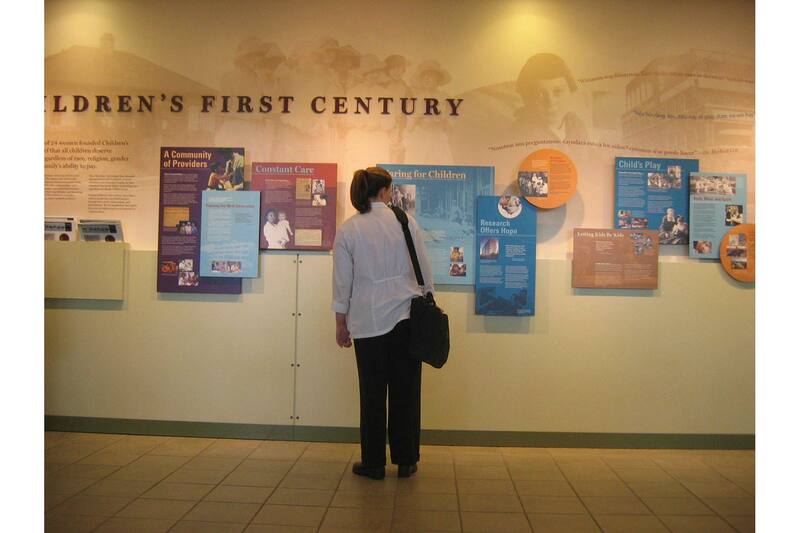 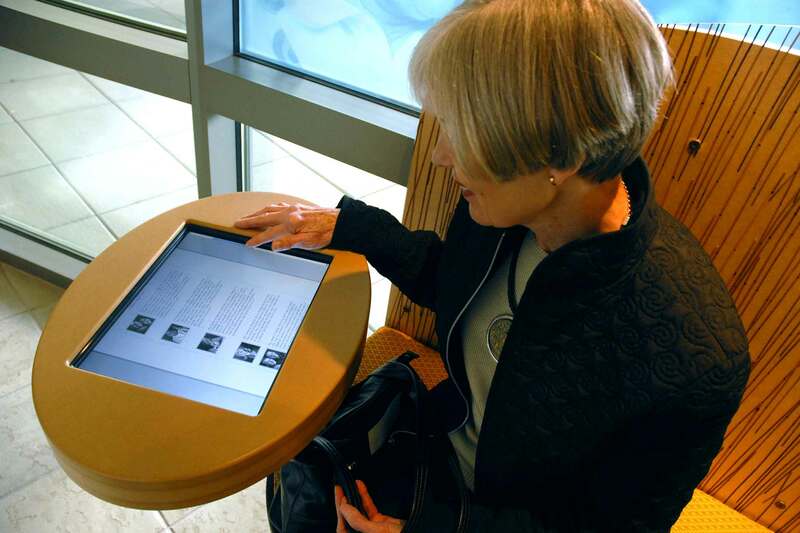 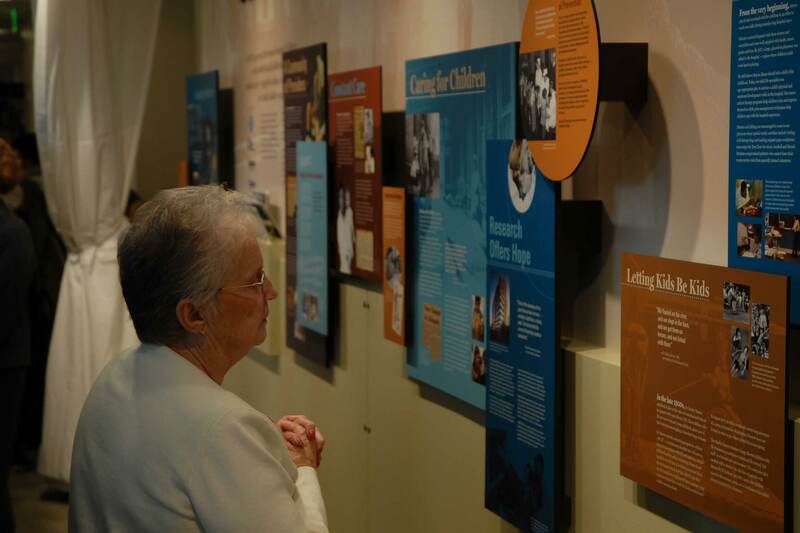 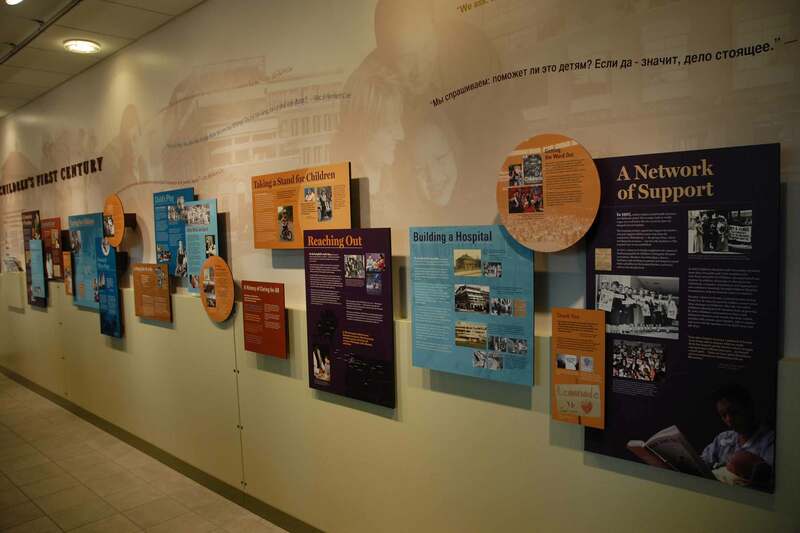 This busy space is populated by anxious parents, hospital staff, and others who can become part of the history’s continuum by leaving their stories at an interactive station. 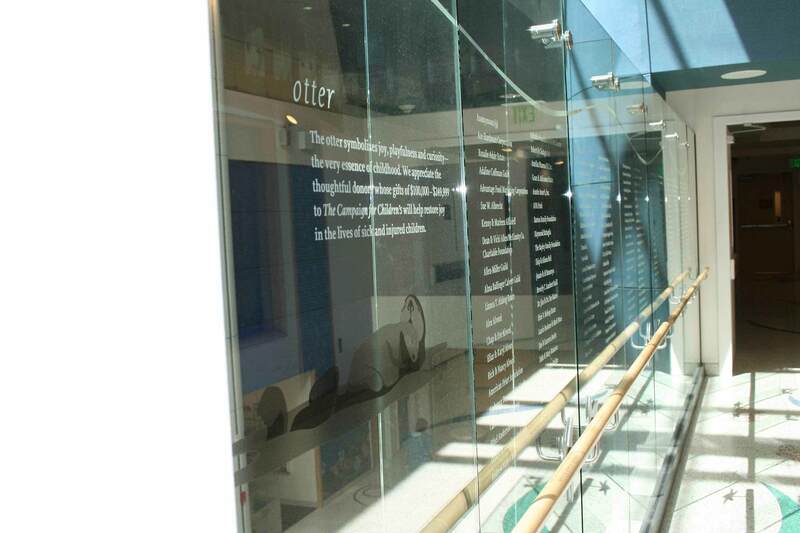 A window wall of historic and contemporary images completes the atmosphere. 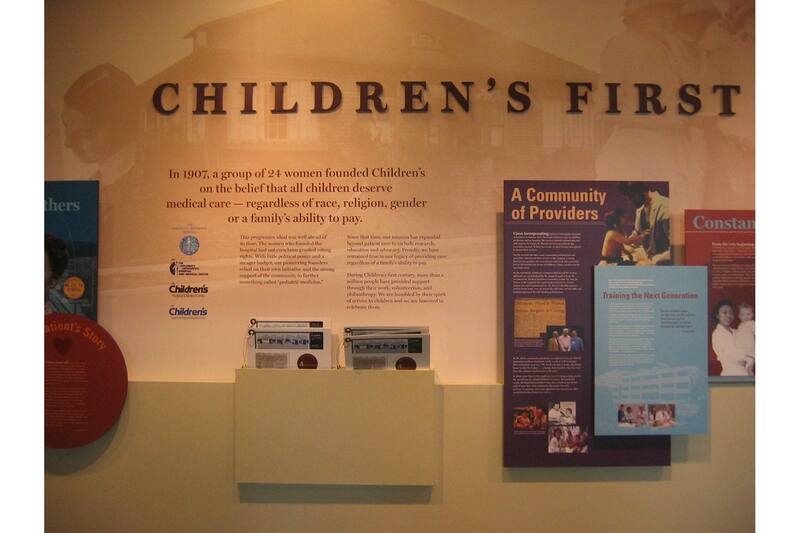 Children’s Hospital in Seattle is an extremely worthy place to donate one’s money, time, and/or attention. 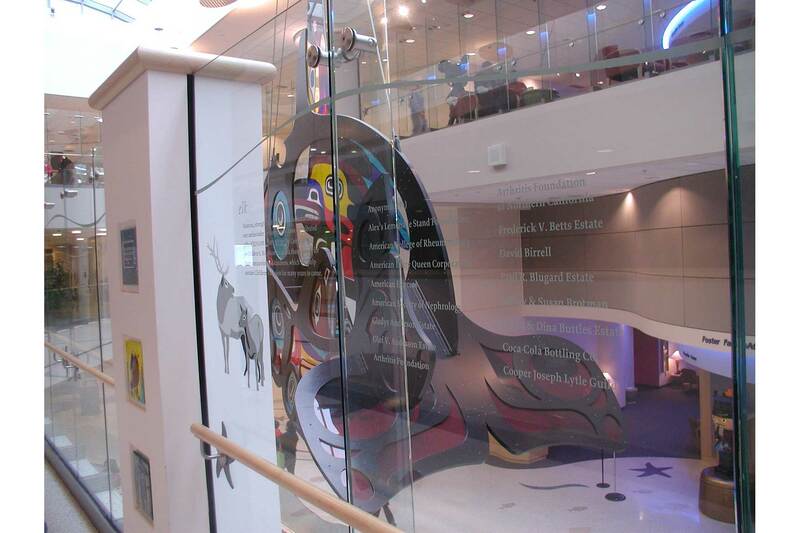 It is a remarkable and extremely important place of love, healing, and care. 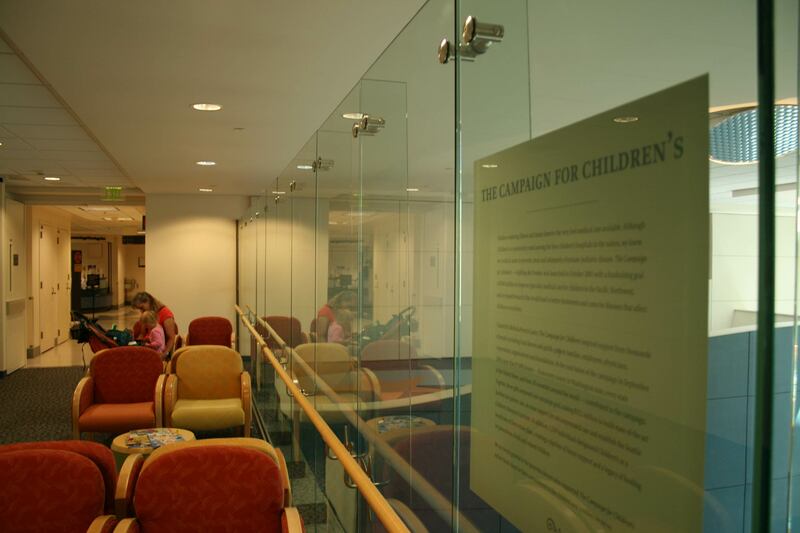 During a capital campaign, thousands upon thousands of citizens, staff, doctors, nurses, and others put their money where their hearts are. 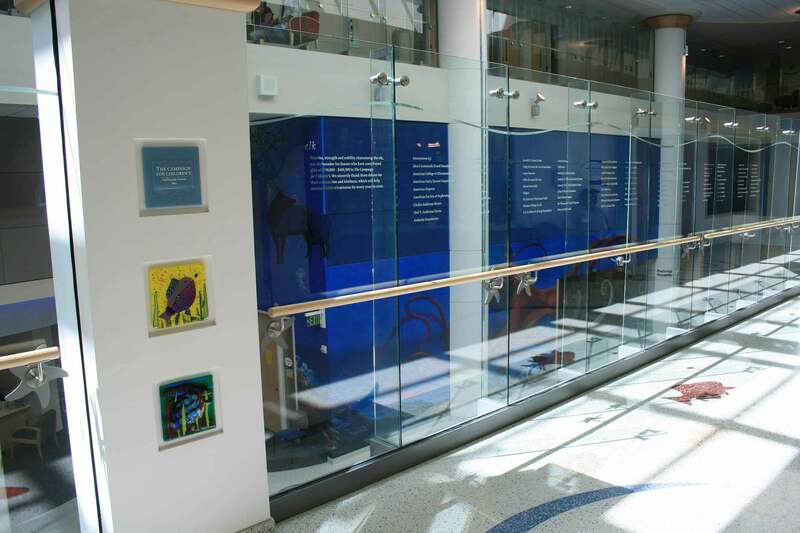 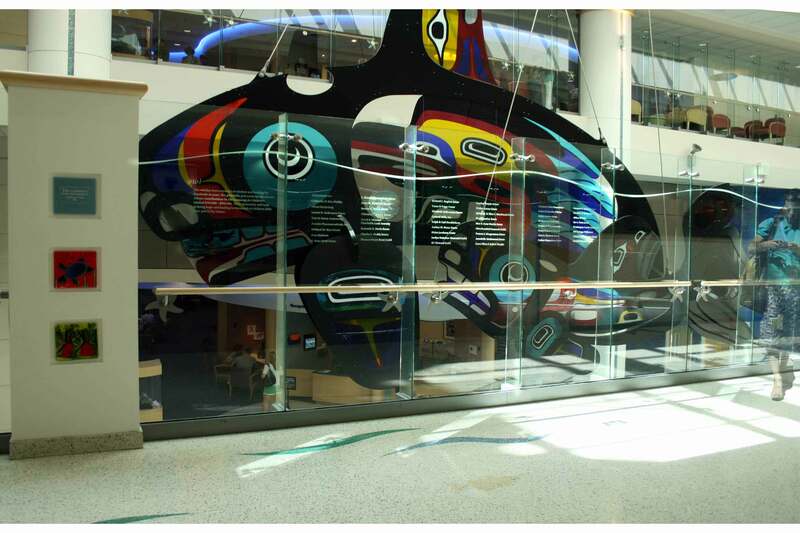 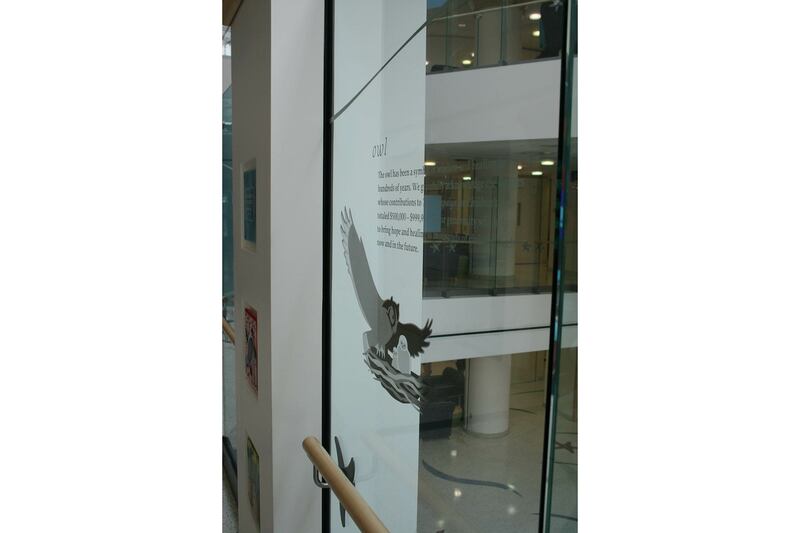 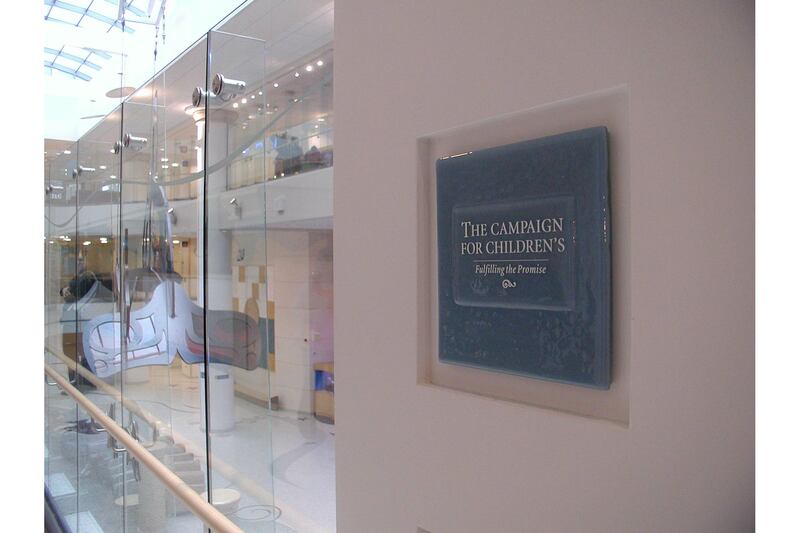 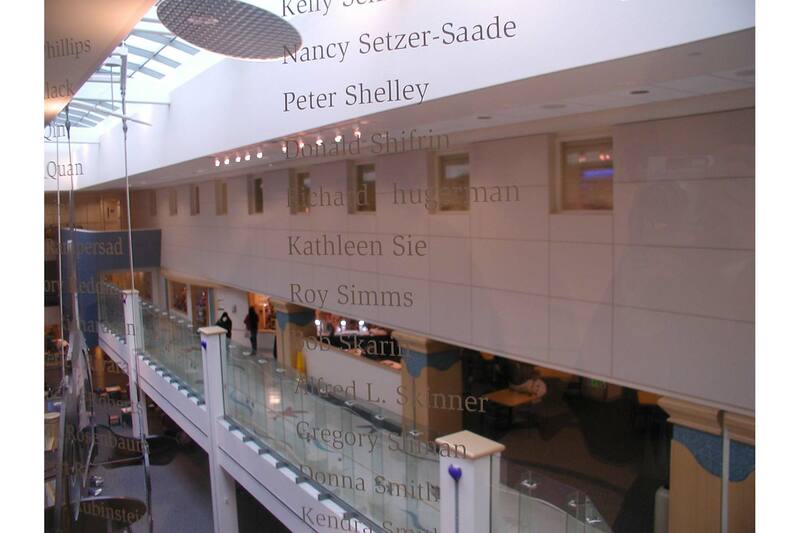 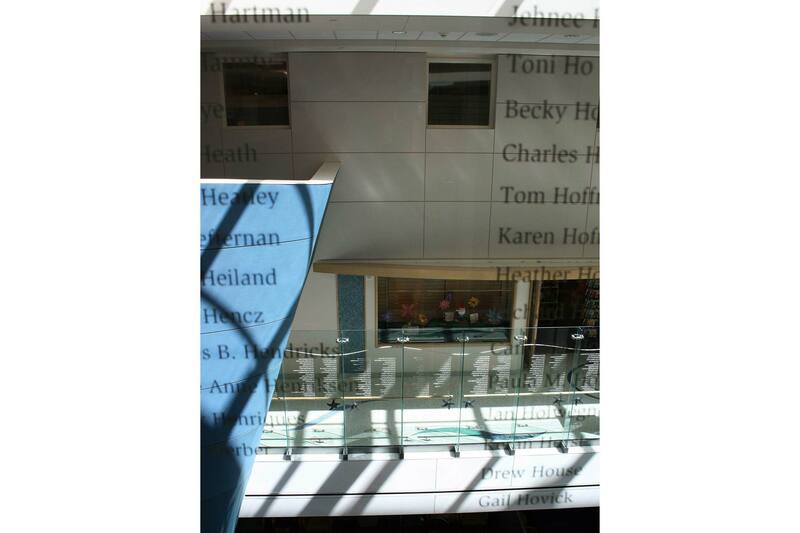 They are now named and thanked on glass that surrounds the hospital’s central entry space.